Aequs Pvt Ltd. is among India’s fastest growing precision engineering company, specializing in precision machining, closed die forging, sheet metal fabrication, special processing and aerostructure assemblies for the aerospace industry. The company’s customers include world leaders such as Airbus, Boeing, Safran, Collins Aerospace, Eaton, Honeywell, SAAB and GKN aerospace. Aequs operates several manufacturing facilities in India, the United States and France. The manufacturing facilities are located in Aequs SEZ, Belagavi (Karnataka, India), Houston (TX, USA), Paris (TX,USA), Aubigny (France), Cholet (France) and Besancon (France). 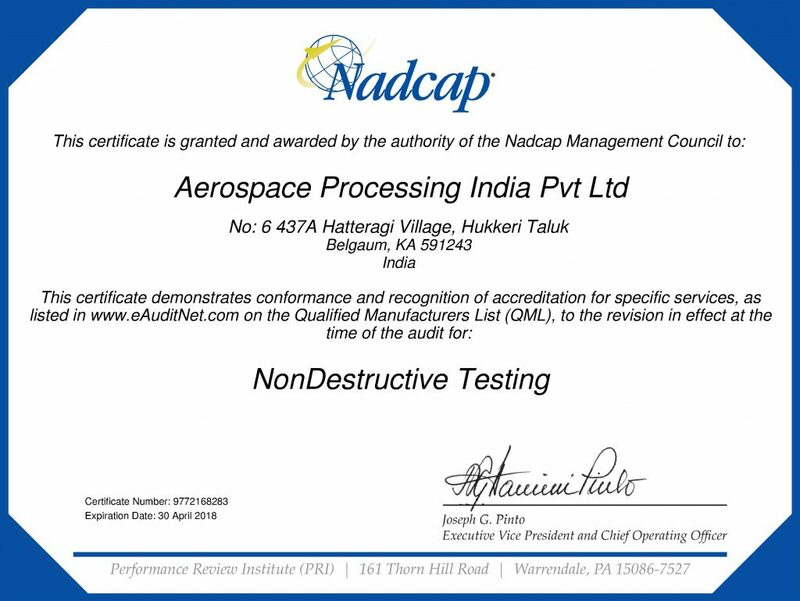 Aequs Pvt Ltd. is among India’s fastest growing precision engineering company, specializing in precision machining, closed die forging, sheet metal fabrication, special processing and aerostructure assemblies for the aerospace industry. The company’s customers include world leaders such as Airbus, Boeing, Safran, UTAS, Eaton, Honeywell, SAAB and GKN aerospace. Aequs operates several manufacturing facilities in India, the United States and France. The manufacturing facilities are located in Aequs SEZ, Belagavi (Karnataka, India), Houston (TX, USA), Paris (TX,USA), Aubigny (France), Cholet (France), Besancon (France) and Pierrefitte (France). Magellan Aerospace (www.magellanaerospace.com) is a global, integrated aerospace company that provides complex assemblies and systems solutions to aircraft and engine manufacturers, and defence and space agencies worldwide. Magellan designs, engineers, and manufactures aeroengine and aerostructure assemblies and components for aerospace markets, advanced products for military and space markets, industrial power generation, and specialty products. Magellan is a public company with operating units throughout Canada, the United States, the United Kingdom, India, and Poland. Aequs SEZ, which took off way back in 2009 has successfully built the well-endowed Aerospace manufacturing ecosystem through JVs and acquisitions of the aerospace majors across the world. Located in Belagavi, Karnataka- the country’s first notified Precision Engineering Special Economic Zone (SEZ), spread across sprawling 250+ acres serving Aerospace and other Industrial units currently hosts 24 fully functioning units spread over 1 million square feet of manufacturing area. It provides an integrated manufacturing ecosystem housing interrelated co-located capabilities in precision manufacturing, sheet metal fabrication, assembly, forging and surface treatments for worldwide customers including OEM’s. Aequs houses these interrelated capabilities that were either unavailable in India or were difficult to be at one location, thus, making India one of the preferred sourcing and manufacturing destination in the global aerospace arena. With World class infrastructure, turn-key office spaces, built to suit facilities, generous financial incentives, access to affordable skilled workers and provision for scalability and expansion, the Aequs SEZ offers features and benefits unmatched elsewhere in India. 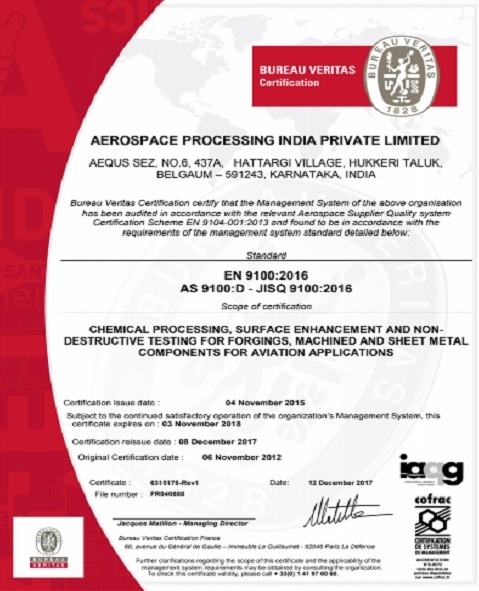 Aequs SEZ is now approved and fully equipped to setup workplaces for IT/ BT and ITeS industries as well.